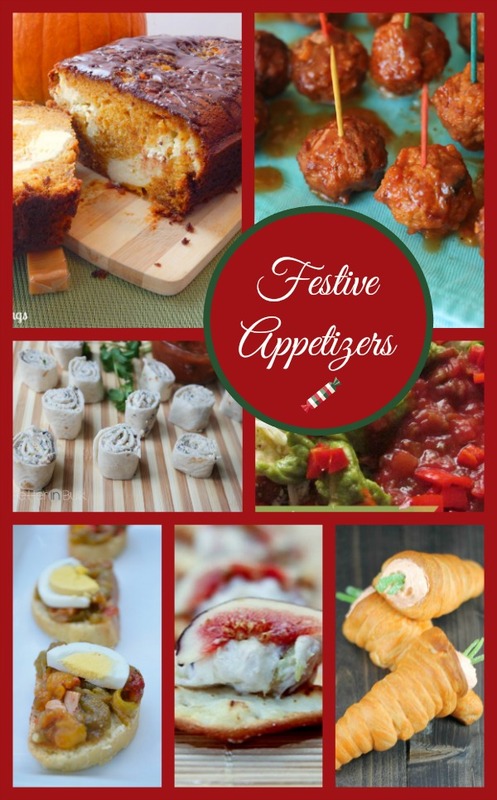 This festive appetizers post is brought to you by Foodie. Every hostess with the mostest knows that the keys to a great holiday party are festive appetizers You can even completely blow off the main course and JUST have an appetizer feast if you do it right. I love parties that give me plenty of options, especially since I’m such a picky eater. Really, you can’t please everyone with just one dish. Festive appetizers are where it’s at! Take a look at my favorites! Just scroll through the handy Foodie widget and click on the appetizers that catch your eye to get the recipe! I can’t believe the holiday season is almost here again … I just love to fix up a wide array of appetizers that get compliments from friends and family. I’ll have to take a breeze through your Foodie app to get some new ideas … thanks! I love the meatballs and the tiny wrapped sandwiches. I can not believe that it is already Christmas Season and time is running out. I need these festive Holiday ideas. These appetizers look wonderful and fun to make and eat. It is great to get suggestions for the upcoming holidays and parties. These look so yummy — I could make a meal out of them. What a great list of some yummy appetizers. Thanks for sharing this. I absolutely love appetizers! They’re the best part of holiday gatherings in my opinion. Thanks for this widget. I’m definitely going to try out some of the recipes.